Don’t Murder Anyone Around an Amazon Echo During Election SeasonA helpful hint from us to you. Amazon Alexa Reportedly Secretly Recorded Conversation and Sent It to a RandoA family in Portland was horrified when a man in Seattle called and said he’d heard their private conversations. Your Alexa Might Be Working With the PolicePolice in England have been testing ways to use Amazon Echo in crime reporting. Like Everyone Else, Amazon’s Alexa Is Laughing at YouUsers don’t know why the devices are activating on their own. Looking to Dip Your Toe in the Alexa Pool? The Echo Dot Is on Sale Right NowPlease come join us in the future. 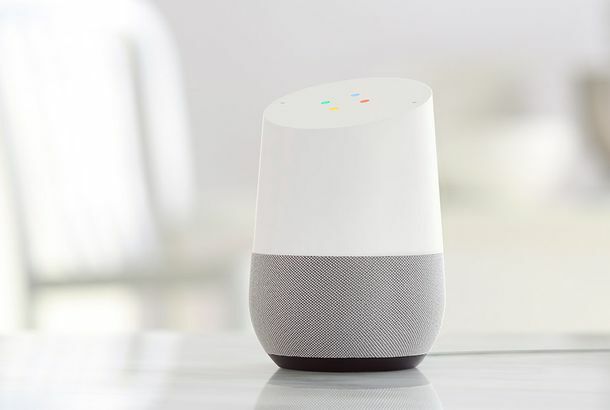 Here Comes a New Google Home … With a Screen?Google source code suggests a speaker with a screen may be coming soon. Last Night’s South Park Commanded People’s Amazon Echos to Say NSFW LinesAlexa, mute everything! 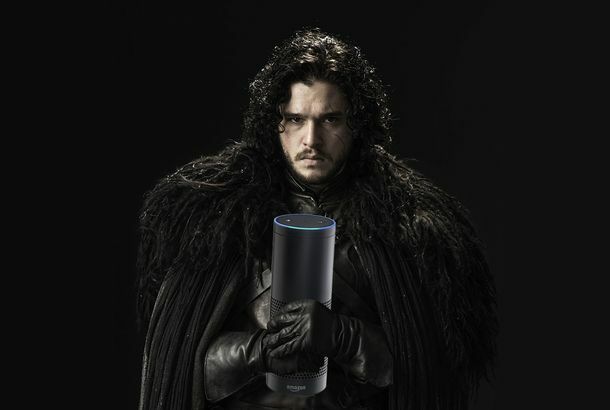 Kill Time Waiting for the New Game of Thrones With These Alexa Easter EggsHey Alexa … is winter coming? Alexa, Give My Data Over to DevelopersAmazon is considering allowing third-party app developers access to your voice queries to Alexa. For Today Only, You Can Grab an Amazon Echo for Just $90Get ‘em while they last. What Reviewers Are Saying About Amazon’s New Echo With a ScreenGreat interface, plain design, and an extremely creepy video-chat feature. Amazon Echo’s Alexa Jones Tells You the Truths They Don’t Want You to HearTired of the dulcet tones of Alexa? Try out the screams of a very, very angry conspiracy theorist from Texas. The Amazon Echo Is $40 Off for Prime MembersIf you’ve been curious about the Echo, now’s a good time to grab one. 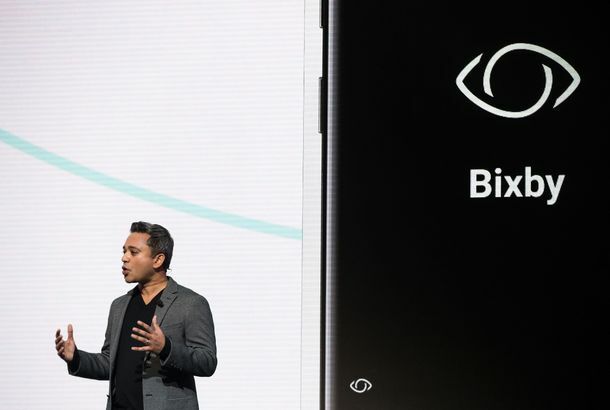 Microsoft Gets Serious About the Smart-Speaker GameThe smart-home-speaker market is starting to get very crowded. Will Apple Unveil Its Version of Amazon’s Echo in June?Siri, imitate Alexa. Google Home Just Got a Lot More Useful for Actual HomesYour Google Home speaker will now support multiple users — and can recognize you just by the sound of your voice. Why All Your Gadgets Want You to Talk to ThemWhy all the electronic stuff in your life are suddenly so desperate to start up a conversation. ‘Hearmuffs’ Are to Your Amazon Echo What Tape Is to Your WebcamOne man’s fuzzy quest to keep your Amazon Echo from testifying against you in a court of law. Alexa, Are You Connected to the CIA?Another day, another good Amazon Echo video. Alexas Worldwide Revolt Over Sharing Their Name With Amazon’s RobotDon’t forget: You can change the speaker’s name. News Report Triggers Amazon’s Alexa to Order a Bunch of DollhousesWhen good tech goes bad. Can an Amazon Echo Testify Against You?A murder trial in Arkansas is putting the Amazon Echo in the hot seat. Reminder: Your Shiny New Amazon Echo or Google Home Is Great for Food TasksIt’ll send you recipes as you watch a Food Network show, and even get you pizza on command. Google Home’s Secret Weakness: the Word ‘Google’You don’t realize how annoying the name is until you yell it at a robot over and over. Amazon Launches Paid Music-Streaming ServiceEcho speaker owners, listen up. 7 Ways to Make Your Amazon Echo Even More Useful in New York CityIf you live in New York City, you probably don’t have a smart home — but there’s still lots you can do with the Echo. You Should Buy an Amazon Echo — Right NowIt really makes life just a little bit easier. Editors’ Picks: Warm-Stuff EditionCold weather is a good excuse to spend, spend, spend.